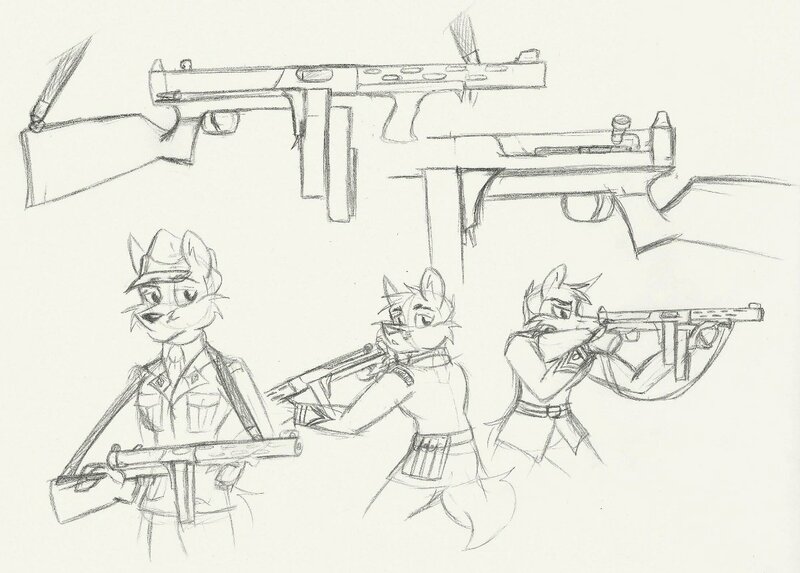 Concept for a submachine gun for my fantasy setting. Hey, I've seen the Indiana Jones movies enough to know not to bring a sword to a gunfight! On a more serious note, the fantasy setting I'm developing is based on mid-20th century Europe rather than the traditional Medieval Europe. I'll eventually expand the setting to show both more modern and more ancient aspects of it, but a 30s to 60s vibe seemed like more fun for developing a the more significant aspects such as the races and geography of the fantasy world. I think it looks like something the Polish resistance would have worked up to take Thompson magazines. It's actually based on the UD M42, Halcon, and Sterling submachine guns. And thanks for the compliment. It's nice to hear that the design is being well received.